tools and techniques of our trade. Desert Valley Contracting specializes in new construction and tenant improvements, for the tenants, owners, brokers and managers of commercial and industrial properties in Southern Nevada. Desert Valley Contracting takes great pride in the work that we do and we offer a complete line of remodeling services and product. In 2011 Desert Valley Contracting, Inc. expanded their services to include residential and commercial restoration serving all of Clark County Nevada. Desert Valley Contracting provides complete design and build services. Our portfolio and specialties consists of re-building and restoring high rise properties, hotels-motels, custome and track residential homes, commercial buildings, apartments, new building construction projects, tenant improvements, shopping malls and restaurants/ bars. We have recently been featured as the preferred contractor for Spike TV network reality show, “Bar Rescue.” No matter the size of the job, our employees and sub-contractors know what you will need and we expect only the best from them. We are sure you will be pleased with our service, both in the field and in our office. Please visit our Gallery of Products which reflects the wide variety of carpet, tile, wood flooring and cabinets. We offer a progressive variety of natural stone and porcelain tiles in various sizes and colors. Our line of stone and glass mosaic style backsplash tiles can enhance any kitchen or bathroom. As a cabinet distributor and installer, this allows us to provide a seemingly endless solution to your cabinet needs. After the devastating loss of my dad I came home to a flood in my home. I've had to deal with many people and companies due to this flood and none were more kind, professional, and understanding than Desert Valley Contracting. From start to finish they did what they said they would do and even more, going the extra mile. Daniel, Ashley, Carniche, all the workers who came to my home, Rene was one, but all were great. I will always refer them and remember the great experience I had, thank you all so much! 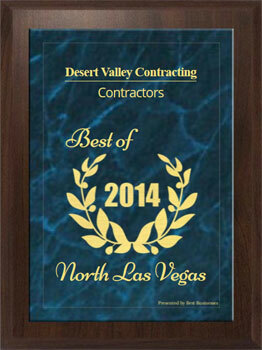 Everyone at Desert Valley Contracting is professional and quick to respond. The communication is excellent. Our kitchen island was flooded and they restored it to our satisfaction. 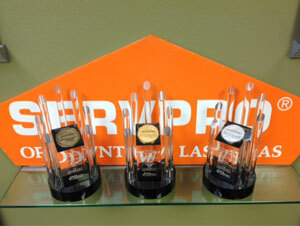 Their ability to work with ServPro and our insurance company in a seamless manner helped to ease our stress. If we decide to have any work done on our home in the future we will be contacting Desert Valley Contracting. From the first phone call all the way through the process of restoring my 2 bathrooms and complete flooring throughout the house, the team at Desert Valley has made the process as smooth as possible. I was kept informed each step of the way and always got a prompt response to my many questions and concerns. Thank you Rudy and team, Ashlee and Carniche for taking such good care of me and my home. I look forward to working with you all agian!!! I just wanted to let you know that I am very pleased with professionalism, honesty and courtesy of everyone involved in our project. Daniel's personality got you our job and Rudy's courtesy and professionalism won our trust in your company. It has been a Great experience. I can assure you that I will recommend your company to anyone without hesitation. Thanks to all of your crew who worked on our house.